Valencia is a city very well connected to the main cities and most emblematic destinations in Spain. One of these places is the famous island of Ibiza. Come with us on this trip to the magical island. Ibiza is one of the 4 main islands of the Balearic archipelago and probably one of the best-known and most well-known tourist destinations in the world. Valencians are lucky to have it very close, just in front of us, only about 120 nautical miles or, which is the same, 3 hours by ferry or 25 minutes by plane. However, the real boom of the island and its international fame began to be forged in the 1960s with a frenetic tourist growth derived from the hippie movement and the beauty of its beaches. With time, it would result in a young and festive tourism, eager for electronic music and night experiences. 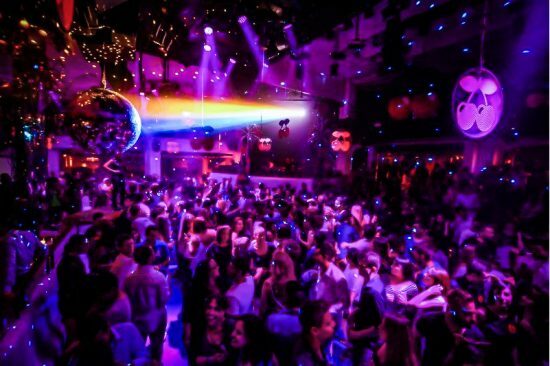 It is no coincidence that the island has become the party capital for the European youngster, and a world reference for electronic music and Club culture. TARONJA Spanish school has always been attracted by the magnetism of this little Mediterranean gem. 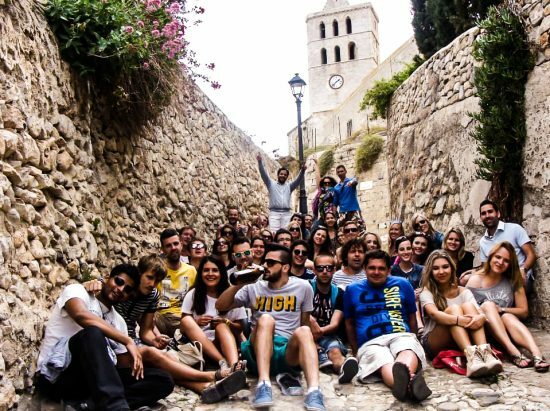 That is why, for almost a decade, it celebrates a wonderful trip to Ibiza with its students. This trip is called IBIZIOUS PEOPLE TRIP by Taronja and is usually held in May. 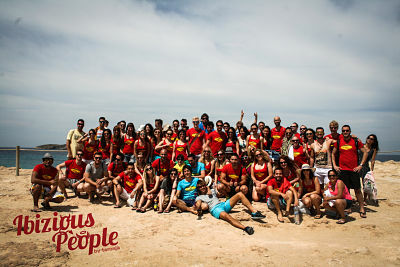 Most of the participants are former students of the school who want to relive the magic of Spanish life for a few days. This year the trip will take place from May 10-13th. The number of attendees usually varies between 50-100 people. Accommodation takes place in a beautiful hotel by the sea, in Platja d’en Bossa. 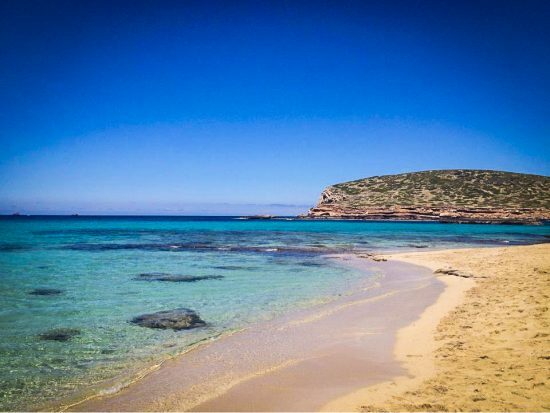 The trip includes excursions to different parts of the island, also to the city of Ibiza and its beaches. Obviously, nightime also has a leading role in this trip! The hippie spirit and fun of the island is in perfect harmony with the philosophy of a school like TARONJA.